VfL Wolfsburg trio Nilla Fischer, Nadine Kessler and Martina Müller will be in the vote for the 2013/14 UEFA Best Women's Player in Europe Award on 28 August. VfL Wolfsburg trio Nilla Fischer, Nadine Kessler and Martina Müller have been nominated after the second round of voting for the 2013/14 UEFA Best Women's Player in Europe Award. All three were in the Wolfsburg side that successfully retained the UEFA Women's Champions League title in an epic 4-3 final defeat of Tyresö FF in which the Swedish club led 2-0 and 3-2. Fischer, Kessler and Müller will enter the final vote on 28 August in Monaco, with the winner receiving the trophy lifted for the first time by Germany goalkeeper Nadine Angerer 12 months ago. • The Sweden defensive midfielder turned centre-back for UEFA Women's EURO 2013 was seventh in the 2012/13 voting for this award and was Wolfsburg's key signing last winter. • Fischer made her Wolfsburg debut in front of more than 8,000 fans against FC Bayern München and in her 31 club appearances last season they conceded only 22 goals as they retained the European and German titles. • Captain Kessler described Fischer as "a top leader", and her Tyresö rival and compatriot Caroline Seger added: "She has grown a lot as a player, because she is in a different position from what she is used to." • Wolfsburg's skipper forms a formidable central midfield partnership with Lena Goessling (fourth in this year's voting, the position in which Kessler finished 12 months ago). • Kessler was ever-present in both UEFA Women's Champions League and Frauen Bundesliga for Wolfsburg in 2013/14, bossing the midfield but also proving her goalscoring prowess with one run of 13 goals in 16 games. • Her mazy dribble set up Müller's final winner against Tyresö: a goal the scorer described as "50% Nadine and 50% me". • Just after Müller joined Wolfsburg in 2005 they were relegated to the second division: now two years running she has scored the winner in the UEFA Women's Champions League final. • Müller, who retired from the Germany team after her 101st cap in 2012, now plays deeper than the centre-forward role for which she made her name, but she was last season's UEFA Women's Champions League top scorer on ten goals, with two in the final including the 81st-minute clincher. • Wolfsburg coach Ralf Kellermann said: "I am very happy for Martina as she has been here since 2005 and is the face of the club. It is no coincidence that she is our top scorer." 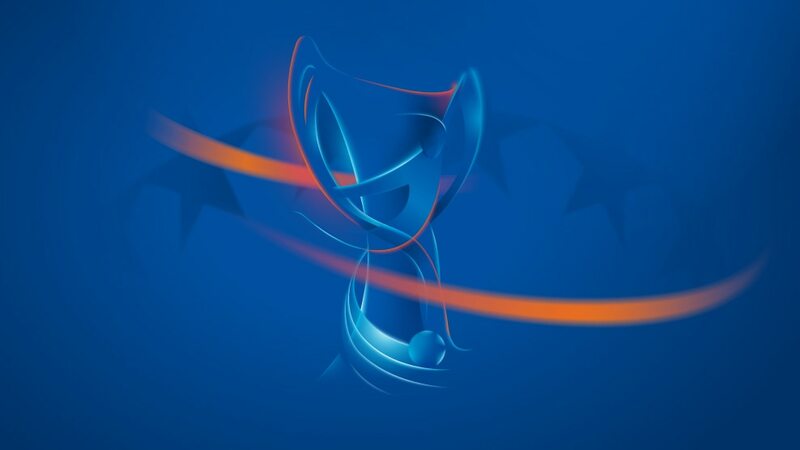 The original shortlist resulted from a poll of the coaches of the clubs that contested the 2013/14 UEFA Women's Champions League quarter-finals. Each coach provided a list of their leading five players, with the first receiving five points, the second four points, the third three points, the fourth two points and the fifth one point. That list of players was then passed to a panel of 12 journalists, each committed to supporting women's football and selected by the European Sports Media (ESM) group. They then voted for their top three players, giving the first three points, the second two points and third one point. In alphabetical order, the top three were: Fischer, Kessler and Müller. The final vote to decide the winner of the award will be made by the same panel of journalists in Monaco on 28 August in the same ceremony in which the men's victor will be decided.